CHICAGO -- Chicago's Republican Party chairman has filed an ethics complaint with the public schools' inspector general, contending the district's CEO used public funds to engage in political activity. 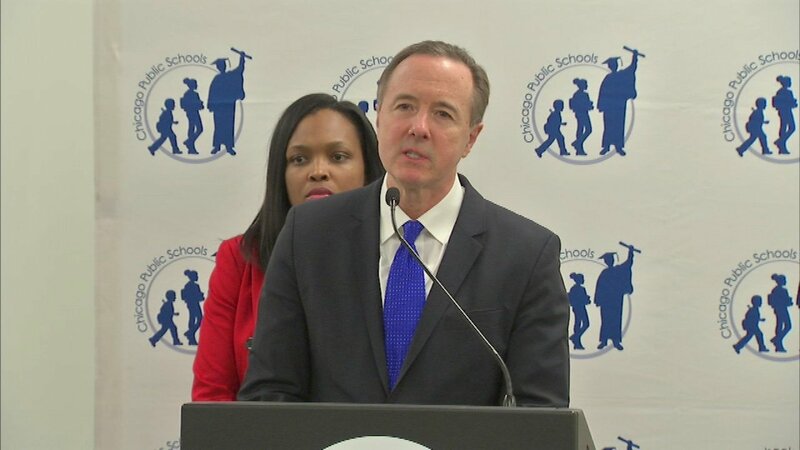 Chris Cleveland, the parent of a public school student, said in his complaint schools CEO Forrest Claypool used taxpayer funds to "send a blatantly political letter home with students." In the letter released Monday, Claypool announced $69 million in mid-year discretionary spending cuts. He blamed Gov. Bruce Rauner for the district's budget woes. Rauner's education secretary Beth Purvis in a Tuesday letter called the cuts "curiously timed." She placed the blame for the district financial mess squarely on CPS' "continued mismanagement." CPS' code of ethics specifically prohibits political campaigning. However, it does allow political activities that are part of an employee's official duties. Inspector general Nicholas Schuler would only confirm he received the complaint.